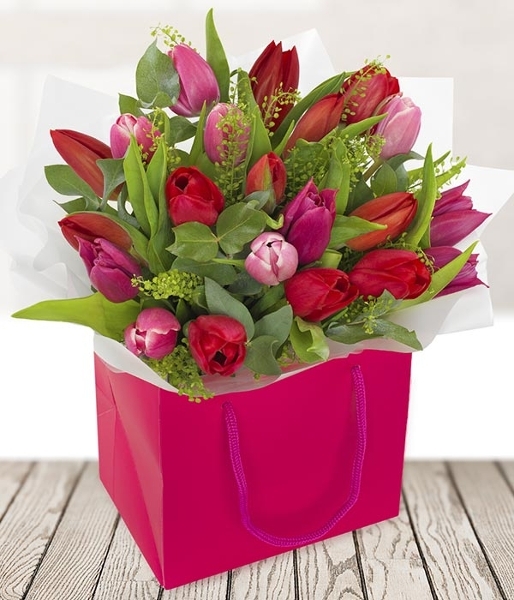 A delightful arrangement of pink and red tulips, displayed in a matching gift bag. This is an elegant bouquet featuring seasonal tulips in pink and red, a huge hit with our customers it's the perfect sweet gift to show you care. This bouquet is arranged and hand-delivered by one of our local florists.